I have had several curating projects, with Nordisk kunst plattform Project Space at Brusand train station being the longest-running and most well-known. I was Exhibitions Leader at Tou Scene cultural centre in Stavanger in 2010 and 2011. I have also produced an exhibition series in lighthouses along the west-coast of Norway, showing international artists as part of the ongoing project "On The Edge". Click the images underneath for more information on each project. Eight lighthouses along the coast of west Norway, with site-specific installations by eight different artists from Norway, Denmark, Japan and Canada. Click the image for fruther info and a downloadable pdf programme. An abandoned train-station, with ticket office and waiting-room covered in all sorts of different wallpaper. This was the backdrop for 14 site-specific exhibitions featuring artists from UK, USA, China and Korea. Click the image for more info. 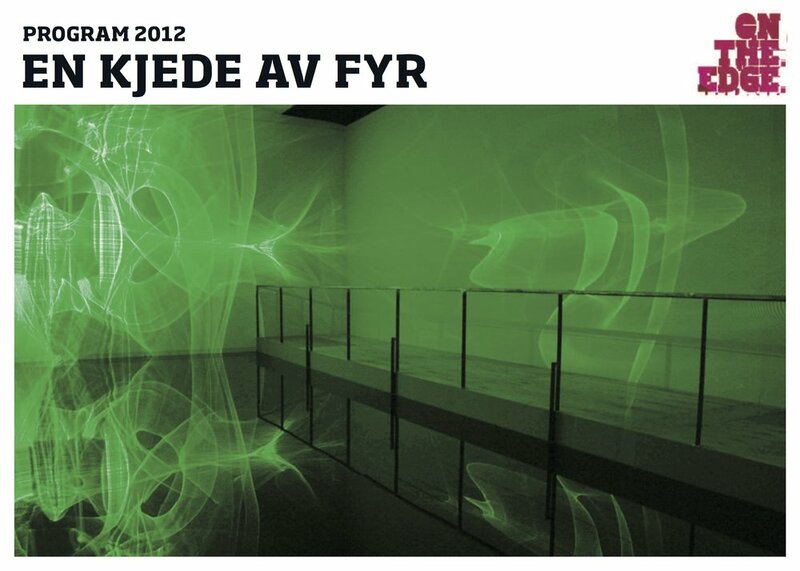 In 2010 and 2011 I was responsible for fine art exhibitions at Tou Scene culture centre in Stavanger. This covered programming of several exhibition spaces. As part of my job at Gjesdal County's Culture Department I have been responsible for two public art projects. The first has been created by textile artists Løvaas & Wagle.